At 6:32 am on Saturday, the crowing of a rooster rings out in the Main Square. One might think that we weren’t in the city centre, but somewhere in the rural suburbs of the city. 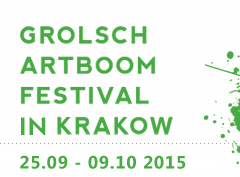 This is how Aleksandra Goral and Aleksandra Korzelska interpreted the theme of this year’s Grolsch ArtBoom Festival. In their work, I woke up like this, they decided to change the urban routine and present an unobvious situation. They step outside of the set customs, try to get closer to nature for just a moment. Thus the wake-up call at sunrise. But this project, in the authors’ opinion, should be seen from a wider perspective – as the problem of economic migration, as well as the absorption of rural suburbs, their transformations and urbanisation. Karolina Balcer, in her project Private property presents the extremely relevant problem of urban space. Building fences is a twisting of rural principles by the urban lifestyle. In the country, it is a custom dictated by necessity – a fence around one’s property is a natural barrier for livestock, but also a way to mark one’s ownership rights. In the city, fences become an attempt to appropriate space. Occupying parking spaces or fencing in rubbish bins – it is an urban reality. What is more, enclosing housing estates behind walls or metal fencing is an attempt at social segregation, a division into the superior and the inferior. The modular allotment of the future is a utopian vision of the Modular Allotment Garden of the Future. 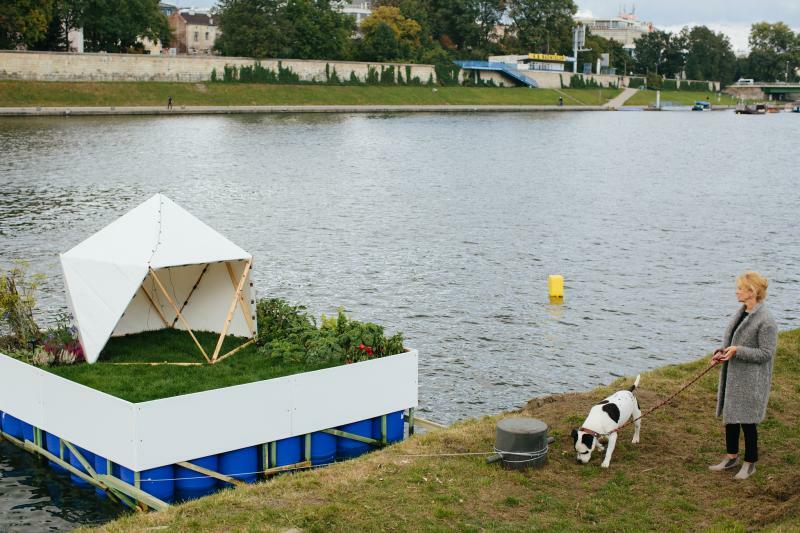 Floating on the Vistula, the raft with an allotment garden moored at the shore is the realisation of many people’s dream of having their own piece of the country in the middle of the city. The authors of the work - Anna Pichura, Jolanta Nowaczyk and Błażej Kraus – decided to create a mini-garden that meets the needs of a 21st century human. Mobility, dynamics of change, migration for work – all of this means that for many representatives of today’s middle class, corporate workers or freelancers, it is difficult to imagine a situation in which they are the owners of a garden, a piece of land in a specific location. At the same time, we can see the return to nature, the desire to live in the ecological spirit and many people once more look favourably on the “relics of Communism”, as allotment gardens in Poland were once called. A new generation, which not long ago did not have a very high opinion of these green enclaves in the city, is discovering them again. The project is also an answer to the challenges of urban space. Today, allotments in city centres are a tasty morsel for developers. There is also no room for parks or other green spaces. Using the river in this way may be a chance for owning one’s own piece of greenery.